Running a course record became a common theme for Emily Covert this past cross country season, even when she was beating her competition by over a minute. Every time the Minneapolis Washburn star steps on the track or the cross country course, the spectators and her competitors know that it will be a quick race. 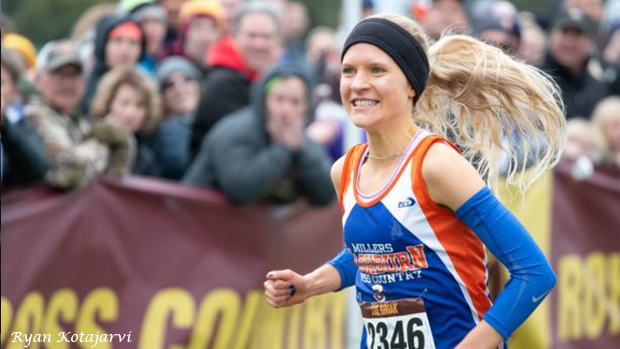 Her consistently eye-opening performances led to her grabbing the attention of people across the nation as she added more accolades to an cross country season that was unprecedented in Minnesota. And with one more track season to go before her career continues at the University of Colorado, Covert's name may be added to the list of Minnesota high school greats such as Carrie Tollefson (who holds the national record for most individual state titles with 13) and Kim Kauls (who was runner-up at Kinney - later Footlocker - Nationals in 1986, Minnesota's highest finisher ever, and won seven individual state titles). This success was not all too surprising after a track season in 2018 that really put her on the map nationally. One year ago, Covert ran under 10:20 six times in the 3200m and ended the MSHSL season with a championship-winning time of 10:06.19 before taking second at New Balance Outdoor Nationals in the two-mile in 10:05.19 (which converts to an All-Time Minnesota record of 10:01.67 in the 3200m). She was undefeated this past cross country season up until Nike Cross Nationals where she finished fourth. She followed that up with a fifth-place finish the following weekend at Footlocker Nationals. Only she and Taylor Ewert managed to finish in the top five of both races. 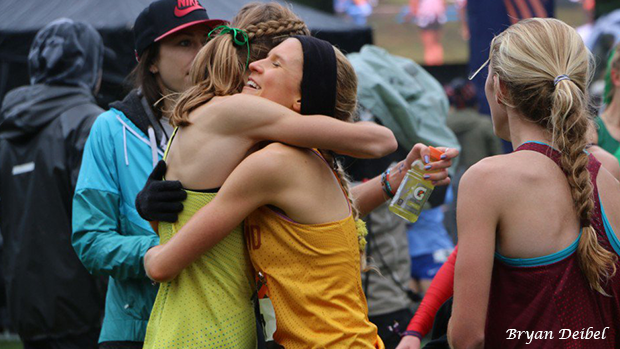 "I was most proud of my Nike Nationals race because I did so much better than I expected that I would. I'm not sure what everyone else was expecting from me, but I think that I did better than they expected as well. I was disappointed at first that I did not finish in the top three, but I was so close to the top three and it was so much fun racing against such top competition that I can't help but be happy with that race." Another race that Covert was proud of this season was the Footlocker Midwest Regional Race where she ran away on a muddy and unforgiving course with an impressive ten-second win ahead of seven other runners that were ranked top 25 in the nation. Anyone that followed Covert's season would likely say that she had a near-perfect season, for which she was awarded honor of being Minnesota's Gatorade Player of the Year for girls cross country. She would mostly agree with that, save the fact that she did not ever break her 5000m cross country personal best of 16:55 from the 2017 Nike Heartland Regionals. "It was crazy, I was always breaking my course record at each race and getting close to running a personal best on some of the toughest courses such as Gale Woods, but at Nike Regionals, it was just such terrible weather so I wasn't able to run a super-fast race this year." For full context, Covert's aforementioned Gale Woods course record of 16:56 at the Section 6AA Championships is a full minute faster than the runner-up, and the only time that the 17-minute barrier has ever been broken by a Minnesota girl in a MSHSL race. Covert's 2018 cross country season was full of consistent races no matter the competition that she was up against. A big contributor to that was that she found herself to be happy, healthy, and really loving the sport. This past season, she had a major change in her outlook on the races - she began seeing them as opportunities rather than something that she "had to do." Races that were once seen as tasks now were something that she was eager to face. "If I am happy and healthy and I have a chance to run fast, why wouldn't I try? Maybe going 100% every time isn't the best way to race, and there will definitely be different strategies in college, but for now I am going to chase fast times and top performances. "I love the sport and love challenging myself and seeing how much I can get out of myself on each day." The love of the challenge helped to push her through what one might consider to be a tiring championship season schedule. Within a five week span, Covert raced in the State Championships, Nike Heartland Regionals, Footlocker Midwest Regionals, Nike Cross Nationals, and Footlocker Nationals. Not only was it a lot of high-level racing, but there was a lot of travel added to it. But Covert met the challenge with her famous mid-race smile. "Towards the end it did start to get tiring. There was one big race after another added onto the long travel trips to each of the races. But it was so much fun to have the opportunity to be healthy and race against such high-level competition. I just really had so much fun. I got to meet new people, go to incredible events, hang out with professional runners like Jenny Simpson and Emma Coburn, and race in such great races. I think the excitement of it all kept it fresh and helped me to not get too tired. I was also more eager because I had not raced much during the earlier parts of the season. I was so ready and eager to race that it helped me to stay fresh." After the long season, Covert got to rest and enjoy a two-week break from running before she started building the mileage for a good foundation leading into this track season. She is surrounded by other high level runners as her group of best friends are all planning to run in college (or are currently do running in college). "Although we all share a common love for running and we all have big goals in the sport, we keep each other balanced. We can all get together and relax while we bake for our food Instagram account and have dance parties. We all know how to have fun and relax outside of the sport so it helps me to relax mentally." Covert also spends her time works at Run N Fun, a local running store in St. Paul where she has come to realize through her work just how close the running community really is and how supportive they are. 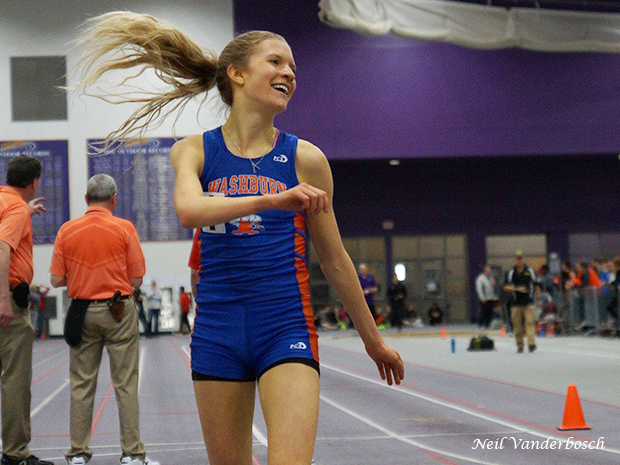 The pursuit of a new personal best will continue this spring on the track where Covert will continue to chase breaking the ten-minute mark in the 3200m which would make her the first Minnesota high school girl to do so. She's logged many miles to come back and attack the 10-minute barrier in the 3200m race and become the first Minnesota girl ever to break it. But ultimately, Covert hopes to be ready to do what Covert does best.